Please select your product from the choices on the left. Be sure to read and follow the instructions so we can process your claim with no delay. 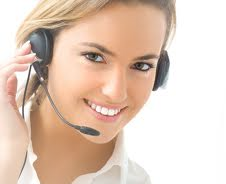 If you are not sure which product you have or you would like further assistance, please call your agent. Repair or replacement of tires and/or wheels damaged as a result of road hazards. Reimbursement for towing, emergency travel expenses, trip interruption, or emergency roadside assistance such as lockout, battery service or gas delivery. Pays the difference between an insurance company total loss settlement & the amount owed to the lender/ lienholder. Covers replacement if key is lost, stolen or damaged. Covers your insurance deductible due to Collision, Comprehensive and/or theft. Please refer to the Collision and Comprehensive & Theft Forms to the left. Repair of certain minor damages to the front windshield of covered vehicle. Pays certain benefits for excess medical expenses, hospital room indemnification, ambulance and/or death benefits. RV only on site repair claim form and Trip Interruption Reimbursement. Reimbursement for rental car expenses incurred as a result of a covered loss. Repair of minor dents and dings on covered vehicle. Pays certain benefits in the event that a covered vehicle is declared a total loss. Copyright © 2014 NIU of Florida, Inc. All rights reserved.